I found new 7-inch compression shorts! Old Navy! There is something magic about 7-inch compression. They sit just right on my thighs so they don’t budge. They are long enough to prevent any chafing issues. And since these are made by Old Navy, they aren’t plain old black! I also got the obnoxious purple, blue, and teal ones. 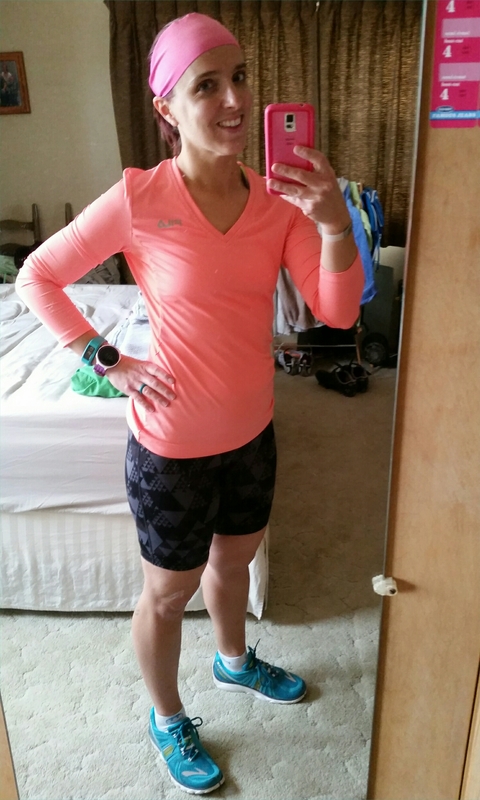 I wore these awesome shorts during this awesome, perfectly executed tempo run. And then I didn’t wear them and had a less spectacular six-mile run yesterday. Is this related? Maybe. Probably not. 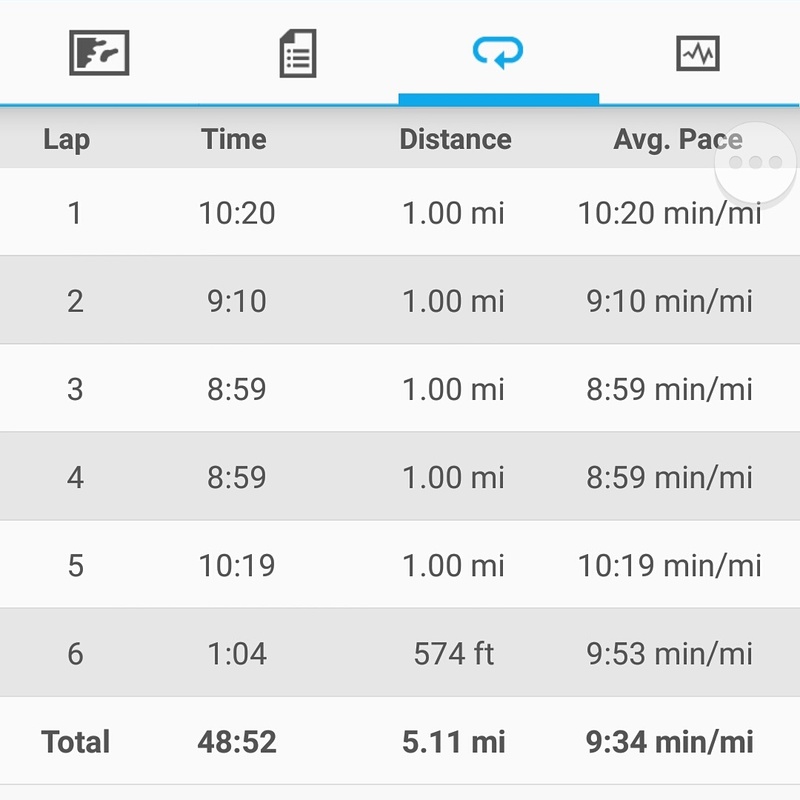 After my tempo run on Tuesday, I overdid it with the cooking, which was probably the real reason behind the sluggish Wednesday run. 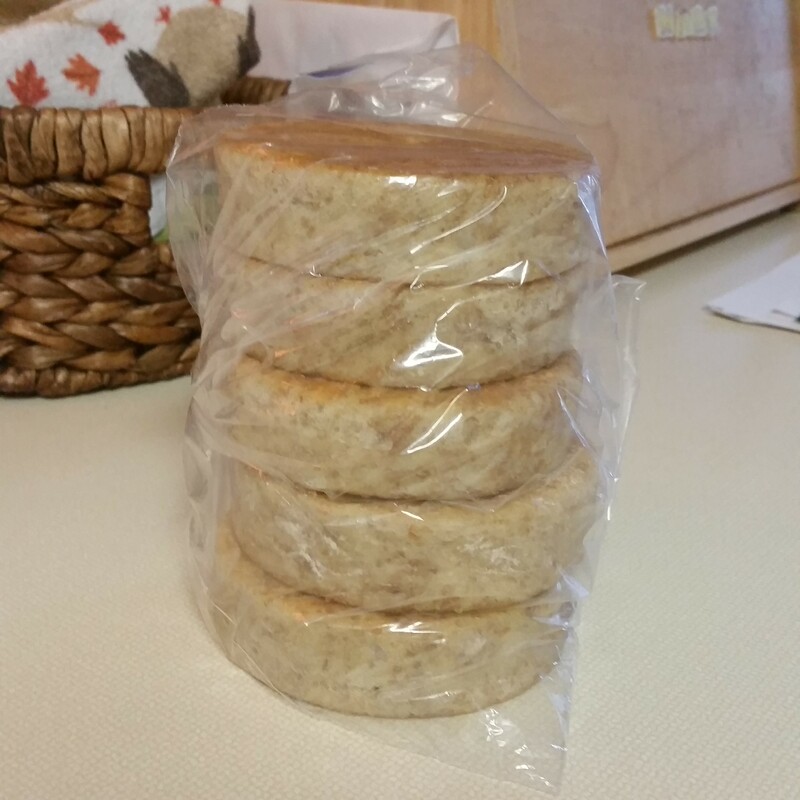 I made homemade English muffins. These rock my world. I use the Bran-enriched dough out of The New Artisan Bread in Five Minutes a Day cookbook. They are wonderful with butter, peanut butter, or as a sandwich with egg and bacon or sausage. Or bacon AND sausage. 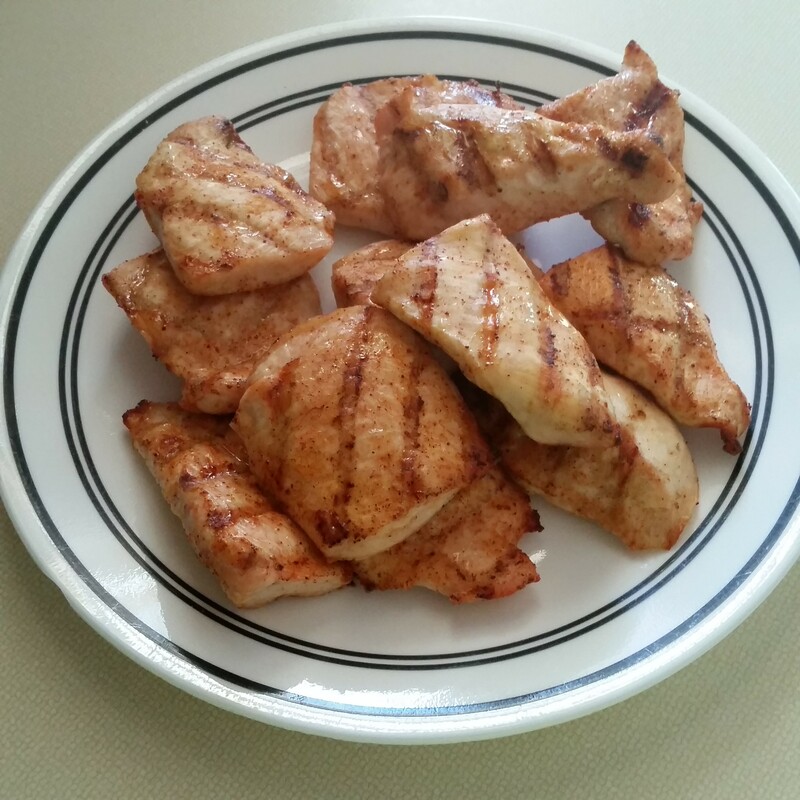 I grilled some chicken breasts that needed to get used as well. My mouth is watering just looking at this picture. Seasoning salt is my favorite thing in the world. I also made banana bread and brownies that I didn’t take a picture of. My legs were so restless from all the cooking that I had to give this stuff a try at bedtime. 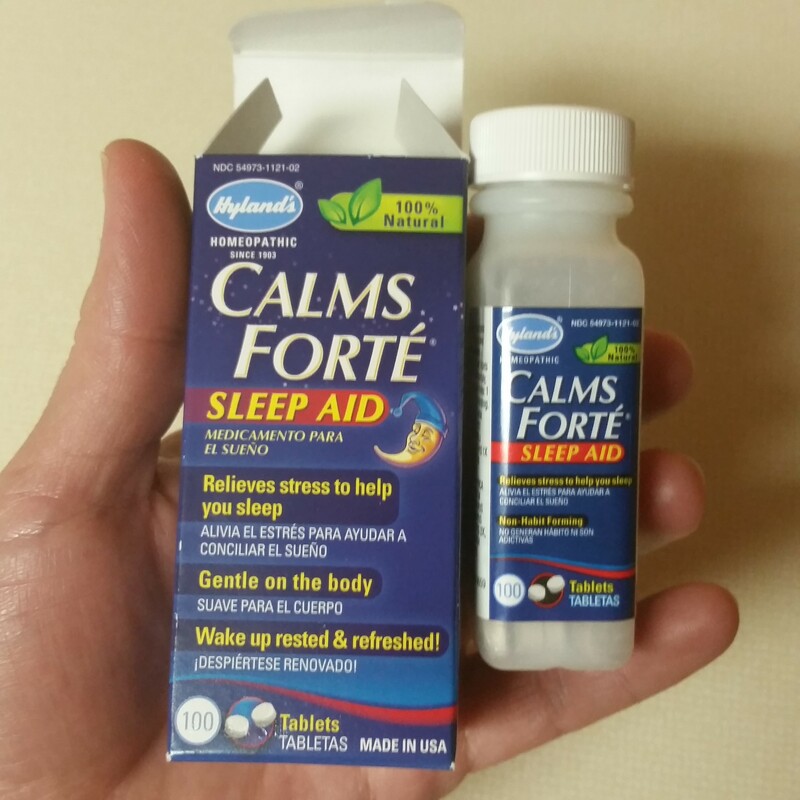 It didn’t knock me out, but it did make me sleepy and I had a more restful night sleep. I need to give it a try when I’m not as tired. I went to the grocery store on Tuesday too. Yeah, it was a busy day. 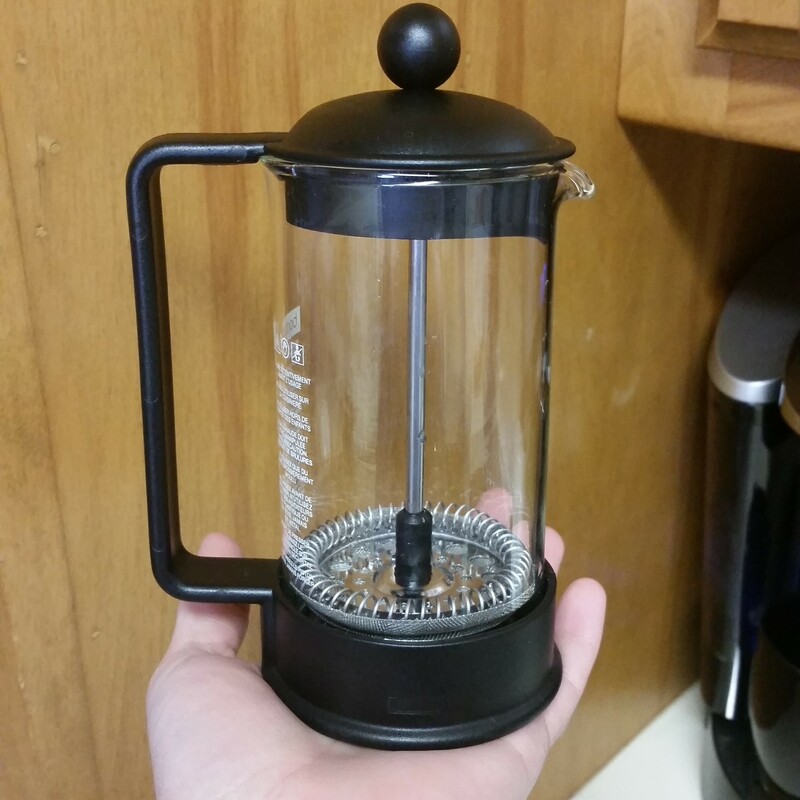 I was browsing the kitchen section looking for a burger press and found this. $11! 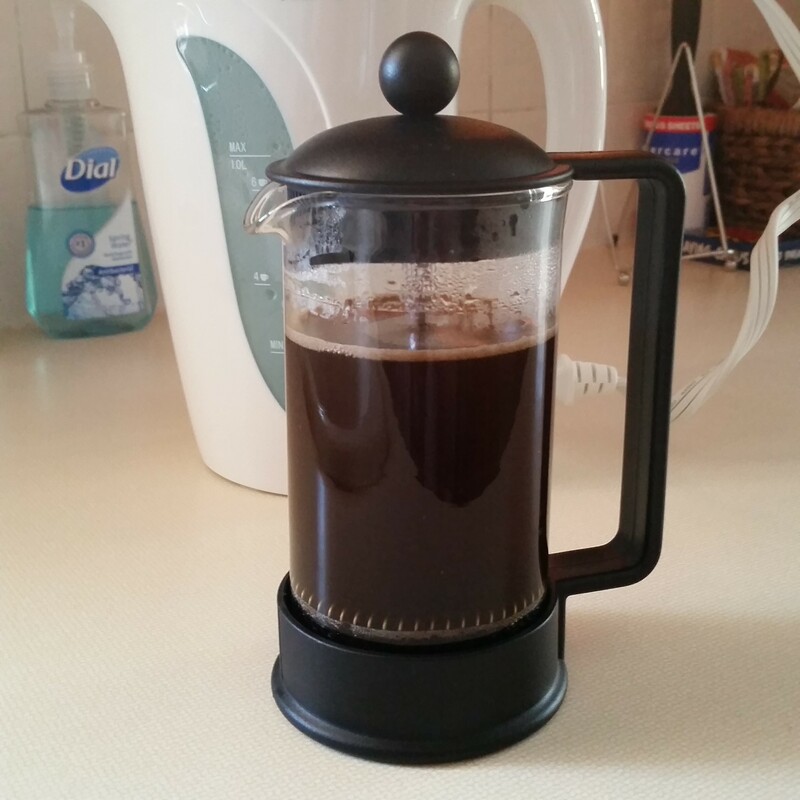 Could you resist a tiny little French press? I couldn’t! And yesterday I went to Starbucks and had them grind a pound of the Espresso Roast on a coarse setting. Now every time I open that cabinet, I lose myself in the deliciousness. Isn’t it cute?! It does 12oz, so three perfect little cups. I brewed this at half strength yesterday afternoon. It was divine! What kind of running bottoms are your favorite? Are you a compression fan or do you prefer the more traditional style shorts?